Technology,Vehicles,Pets,Tourism,Medicine Tehnika,Vozila,Ljubimci,Turizam,Medicina: ISTINA O RAKU,POBIJEDITE GA PRAVILNOM ISHRANOM !!! STOP ALKOHOLU I CIGARETAMA !! !----THE TRUTH ABOUT CANCER,BEAT HIM WITH A PROPER NUTRITION !!! STOP WITH ALCOHOL AND CIGARETTES !!! ISTINA O RAKU,POBIJEDITE GA PRAVILNOM ISHRANOM !!! STOP ALKOHOLU I CIGARETAMA !! !----THE TRUTH ABOUT CANCER,BEAT HIM WITH A PROPER NUTRITION !!! STOP WITH ALCOHOL AND CIGARETTES !!! Dr. Warburg je rekao: “Pomanjkanje kisika i kiselost su dvije strane iste medalje: ako netko ima jedno, ima i drugo“. “Oduzmete li zdravoj stanici 35% njezinog kisika, možete je pretvoriti u stanicu raka za samo dva dana“, tvrdio je dr. Warburg. “Sve takozvane prirodne smrti nisu ništa drugo nego terminalna točka zasićenosti tijela kiselošću“, – George W. Crile iz Clevelanda, jedan od najpriznatijih kirurga na svijetu. ENGLISH (my every post has a version in English) Read it ! The basic cause of cancer was officially unveiled prior to 1923, and inventor in 1931 for that won the Nobel Prize in medicine. Very few people in the world know about it, because the truth has unfortunately hidden from the public. In 1931, German scientist Otto Heinrich Warburg (1883 1970). Received the Nobel Prize for the discovery of the basic causes of cancer. Dr. Warburg discovered that cancer is the result of an anti-physiological way of life. Anti-physiological diets (with food that is acidifying) and physical inactivity body creates an acidic environment poorly oxygenated. Cellular acidity displaces oxygen, and oxygen deficiency in the cells creates an acidic environment. Dr. Warburg said: "The lack of oxygen and acidity are two sides of the same coin: if someone has one, has another". If you have too high acidity, automatically will be missing oxygen in the body; if you lack oxygen you will have acidified organism. The acidic environment is an environment without oxygen. "You take away if healthy cell 35% of its oxygen, you can convert it into a cancer cell for only two days," claimed Dr. Warburg. "All normal cells have an absolute need for oxygen, but cancer cells can live without it. This is a rule without exception ". In his work "The metabolism of tumors," Dr. Warburg showed that all carcinogenic forms fulfill two basic conditions: blood acidity and hypoxia (lack of oxygen). He discovered that tumor cells are anaerobic (do not breathe oxygen) and can not survive in the presence of high concentrations of oxygen. Tumor cells can survive only with the help of glucose in the environment without oxygen. Therefore, cancer is nothing but a defense mechanism, which our cells use to survive in an acidic environment without oxygen. Healthy cells live in the alkaline environment full of oxygen, which enables their normal functioning. Tumor cells living in the acidic environment poor in oxygen. Having completed the process of digestion, food, depending on their nutritional profile, creates conditions of acidity or alkalinity in the body. Acidic or alkaline condition is measured by the pH scale of 0-14, where 7 is neutral zone. From 0 to 7 is acidic, and 7 to 14 is alkaline. When a healthy individual and blood pH is between 7.40 and 7.45. Blood is constantly regulates itself to prevent inflammation in the metabolic acidity. However, some food and acidified blood pollutes the body. * Refined sugar and all its derivatives. Of all the worst, because there is no protein, fat, vitamins, minerals not only refined carbohydrates, which damages the pancreas. Its pH was 2.1 (very acidic). * Animal products - milk and cheese, cream, yogurt etc. * Refined flour and all its derivatives such as pasta, cakes, biscuits and so on. * All industrially processed and canned foods, which contain preservatives, artificial colors, flavors, stabilizers, etc. * All raw vegetables. Someone is sour in taste, but in the body changes and becomes alkaline. * Fruit. For example, lemon inside the body has a very high degree of alkalinity. (Do not be fooled by its very sour taste). * Almonds. They are very alkaline. * Whole grains: the only alkalizing grain is millet. All other grains slightly acidic, but the ideal diet should be a certain percentage of acidity and should eat and some crops. All grains should be eaten cooked. * Med. It has a very high alkalinity. * Chlorophyll. Green plants contain chlorophyll which is very alkaline. * Water. It is important for the production of oxygen. Always stay well hydrated, drink small sips of water throughout the day. * Exercise. Exercises help maintain the alkalinity of the body because they give oxygen throughout the body. Sedentary lifestyles destroys life. Chemotherapy is acidifying the body to the extent that it has to resort to alkaline reserve of the body, in order to neutralize the acidity of sacrificing minerals (calcium, magnesium, potassium) embedded in bones, teeth, limbs, nails and hair. For this reason, we notice changes in people receiving chemotherapy, including hair loss. Other drugs may also worsen the acidity of the body, so they should be avoided as much as possible. 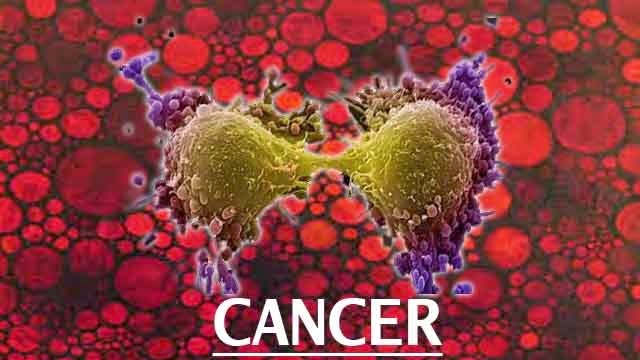 As pointed out, it is quite impossible that the cancer appears in a person who is healthy food, drinking plenty of pure water and exercise. To be properly fed, make sure you 60% alkaline diet and avoid products that are in the most acidic, such as fizzy drinks, sweets, fast food. Do not abuse the salt and use as little as possible. If you are sick, it is ideal that you eat a 80% alkaline. Do you have cancer, the advice is to alkalize the body as possible. You can accomplish this with the help of diet, exercise, avoiding stress and additional entries chlorophyll. "All the so-called natural death are nothing but the terminal point of saturation, body acidity" - George W. Crile of Cleveland, one of the most surgeons in the world. "Increased acidification of the body is the cause of all degenerative diseases. If there is a balance disorder and the body begins to store toxins and acidity to a greater extent than they can excrete, then occurring diseases. "- Dr. Robert O. Young.